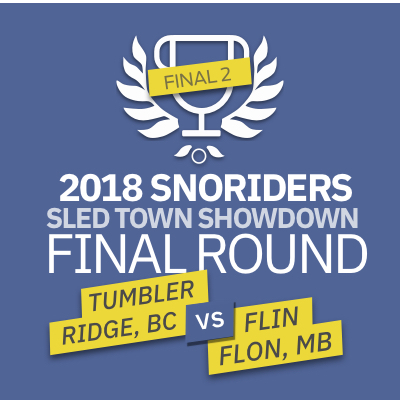 We’re down to the Elite 8 in the 2019 SledTown ShowDown contest. 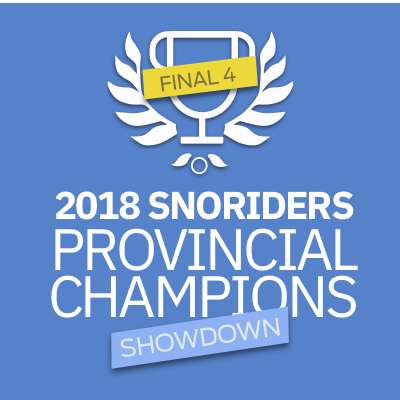 The provincial finals will determine who wears the crown of provincial supremacy in 2019. Which SledTown is the best in each western province? You decide! B.C.’s showdown is set to be a doozy. Both Sicamous and Tumbler Ridge each racked up north of 2,200 votes! This is going to be a tight race until the final day. Alberta’s SledTowns of Fox Creek and Edson ran away with their Round 3 victories, racking up over 70% of the votes in each of their respective battles. Round 4 promises to be a closely contested contest. In two more landslide victories, Carrot River/Arborfield and Hudson Bay tallied over 65% of the votes in their Round 3 matchups. Which community will be crowned king of all Saskatchewan? It’ll likely be a nailbiter throughout. Both of Manitoba’s Round 3 results were seesaw encounters that saw record-breaking numbers. Thompson edged Lac du Bonnet 2,438 votes to 2,163. The duel between Powerview-Pine Falls and Flin Flon garnered an unprecedented total of over 8,000 votes! Flin Flon emerged victorious, securing 52%. Can Round 4 possibly surpass these numbers? Round 4 runs November 26 to December 9, 2018. New to the contest? This is how it works: we start with 16 destinations from each Western province in Canada. Each round, our readers vote for their favourites and the destinations get whittled down. 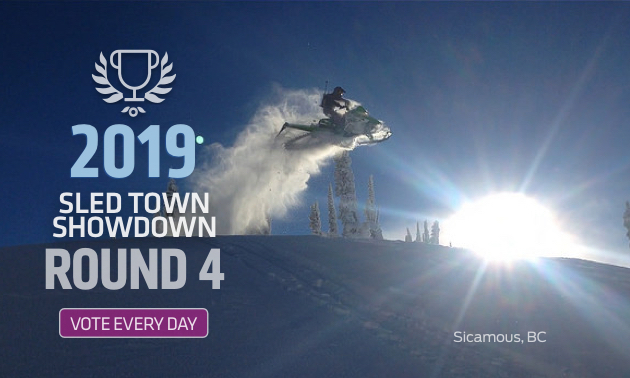 By Round 4, we’ll have our provincial winners, which will go head-to-head until only one town remains to be crowned the 2019 SledTown ShowDown Champion of Western Canada. 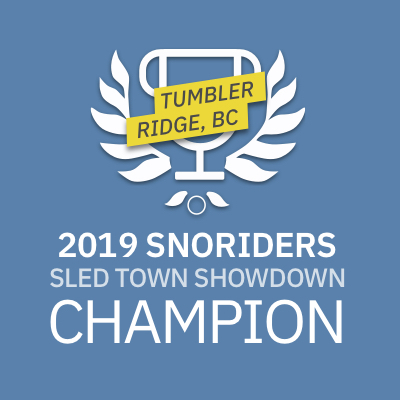 A shiny SledTown trophy, bragging rights, feature articles and advertising in SnoRiders magazine. Plus, it is a chance to raise positive awareness of snowmobiling and to recognize local clubs for all their hard work. Social media plays a big role in this contest so be sure to hit “share” after you vote to let your friends know about the contest. You can also follow SnoRiders on Facebook, Instagram and Twitter for quick updates during the contest. Feel free to tag us in photos and use the #sledtownshowdown to promote your favourite town. If you’re on our e-Newsletter list, you’ll also get SledTown ShowDown news, plus our best snowmobiling stories, each month. Not on the list? Sign up here. Unless you want your favourite SledTown to take a whoopin’, you’d best get to clickin’! Vote now. Vote often. Good luck to you and your SledTown.